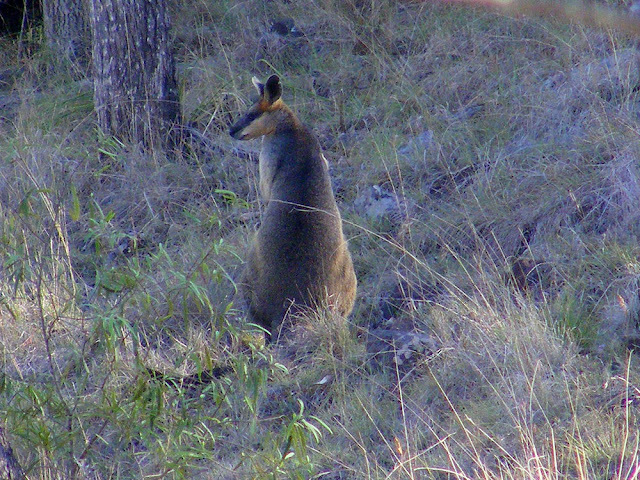 The Swamp Wallaby Wallabia bicolor is found in the eastern woodlands of Australia. They are grey, but dark, even black on their back, buff on their fronts, with rusty patches at the base of the ears and back of the neck and overall their appearance is darker than other wallabies. Their cheek stripe is also buff coloured and their points (hands, feet, tail) black. 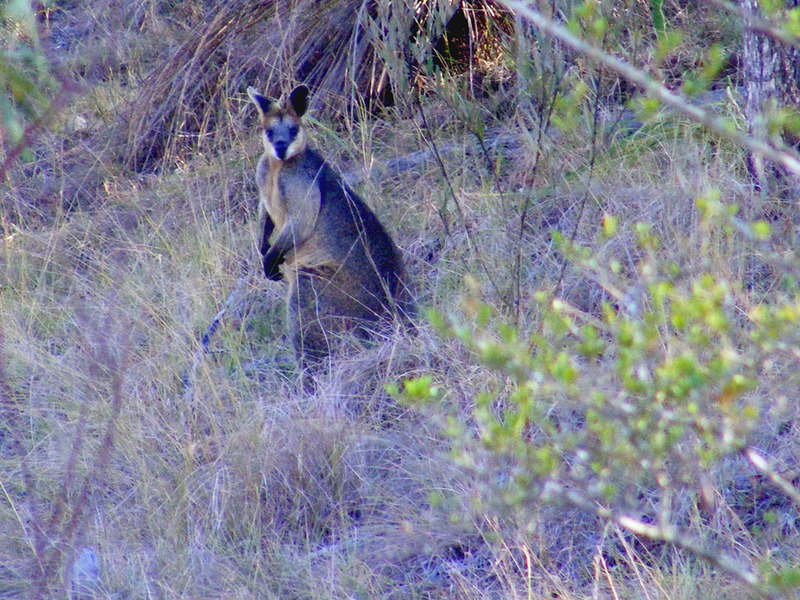 Males are a bit bigger than females and they weigh about 15kg, looking rather stocky. 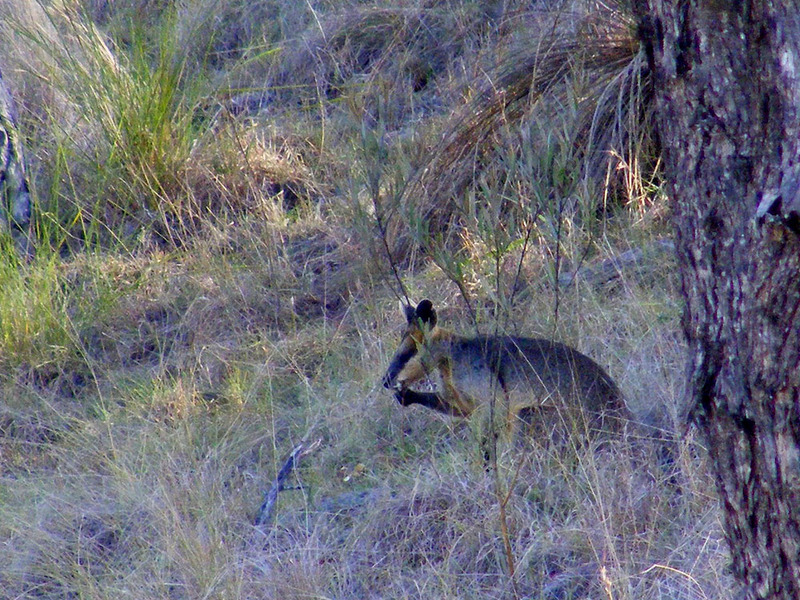 Normally solitary, they will join other wallabies, sometimes forming mixed mobs, to feed. 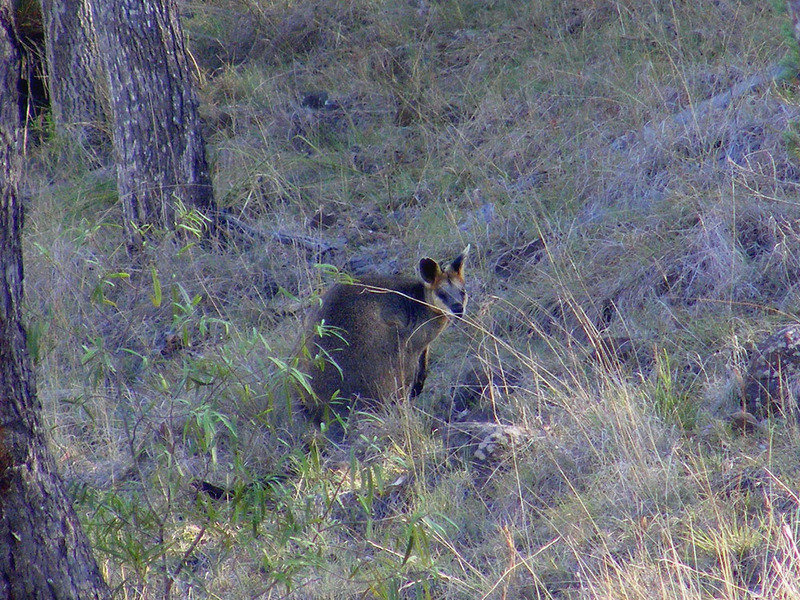 They are browsers, prefering to nibble on shrubs, but are opportunistic and will eat all sorts of things. They can apparently tolerate quite toxic plants such as bracken and hemlock. 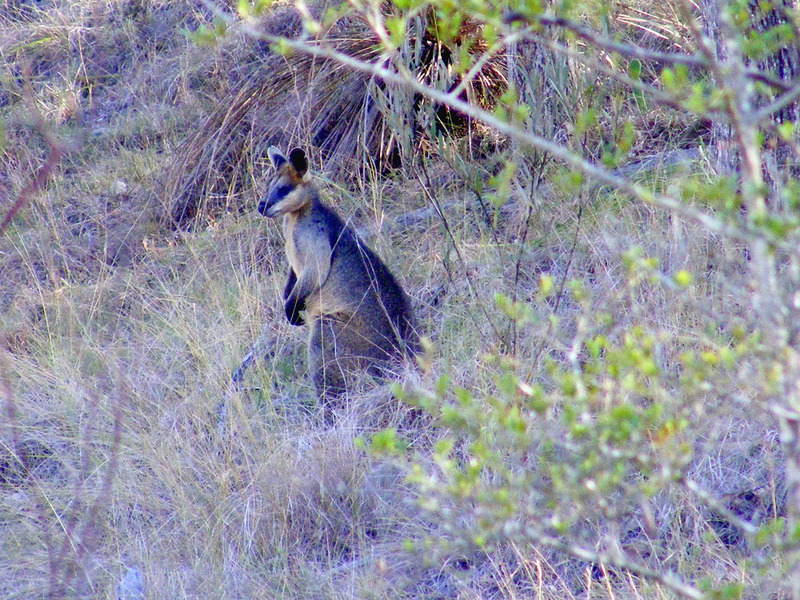 Still reasonably abundant, their numbers are probably declining, especially where urbanisation is encroaching on natural bushland. They are the only wallaby that will use its hands regularly to eat. Great photos... I love the colors. 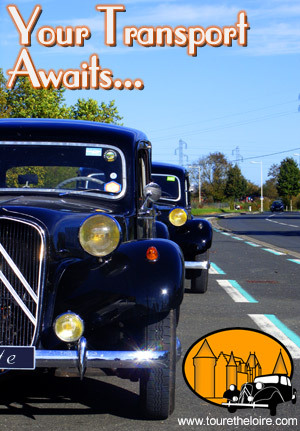 Are you escaping the winter rains of France?